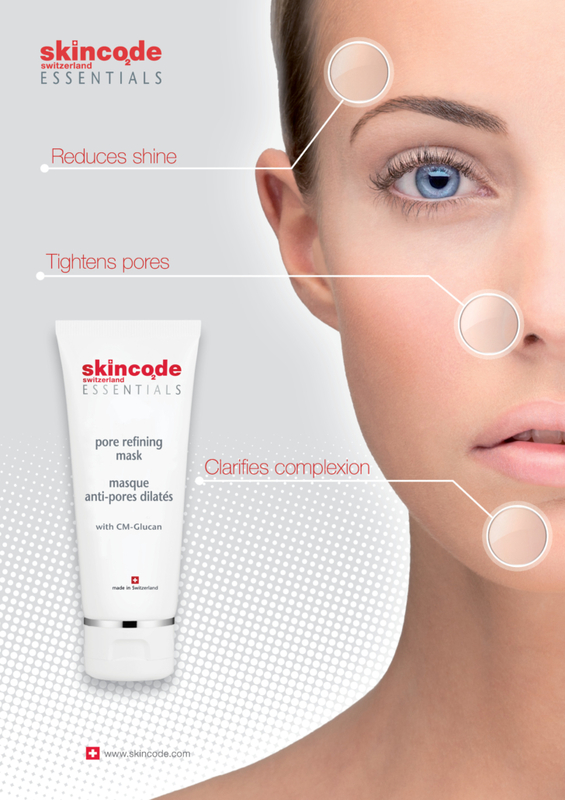 Skincode is very proud to present the newest addition to the Essentials range: Our Essentials pore refining mask. This smooth, white clay mask is designed for oily or combination skin types. It helps to draw out dirt and impurities from the pores and absorb excess oil to reduce shine. It contains a unique biotech plant derived ingredient that has an anti-bacterial, anti-inflammatory and pore tightening effect on the skin.